Papayas are easy to grow. It is one of the plants you should consider growing in your backyard if you live in a predominantly warmer climate. You can grow papaya plants pretty easily from the seeds. First cut the papaya fruit in half and then take out all the seeds. The seeds are covered with some jelly-like substance. Squeeze the seed out of that coating. Use clean water to wash the seeds and then let them dry out. Once they are totally dry, use them for plantation. Select the place where you want to grow the plant. Papayas are very sensitive to root shock so it is advisable to plant the seed where you want to grow. Transplantation process can really hurt the plant. Before planting the seeds make sure you have mixed enough compost with the soil. They are very voracious feeder so make sure you have provided them enough to eat. The spacing required for each plant is minimum 1.5 meters. If you read our blogs regularly you would have known by now that papaya plants require full sun; More the better. 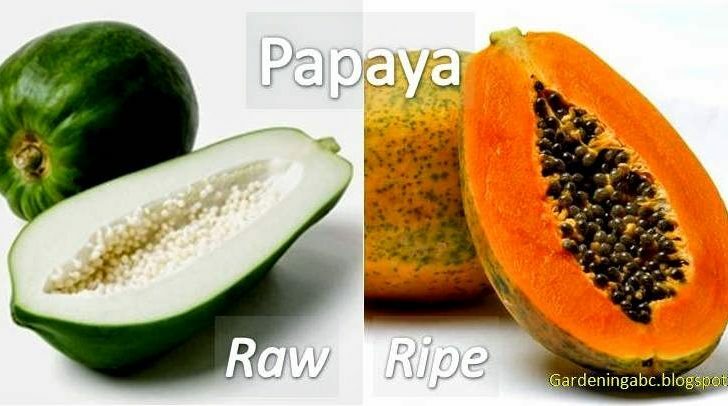 Though papayas also grow in partial shade; the fruit growing is delayed and the tastes are also not so good.Papaya plants are very susceptible to root rot. So watering becomes very crucial. Much more water than required and you end up harming the plant. Also, considering the fact that they generally grow in warmer condition and have large leaves (they transpire a lot of water) you can not provide too little water either. The best soil type is the loamy type for growing papayas. Papaya plants can be male, female, or bisexual. It is important that your garden has at least some female or bisexual plants. The male plant will not bear the fruits. It is recommended to have a 1: 10 ratio about male and female plants to have a healthy yield. Generally, it will start flowering once it becomes more than one meter in height. Expect to harvest the ripe papayas within a year. 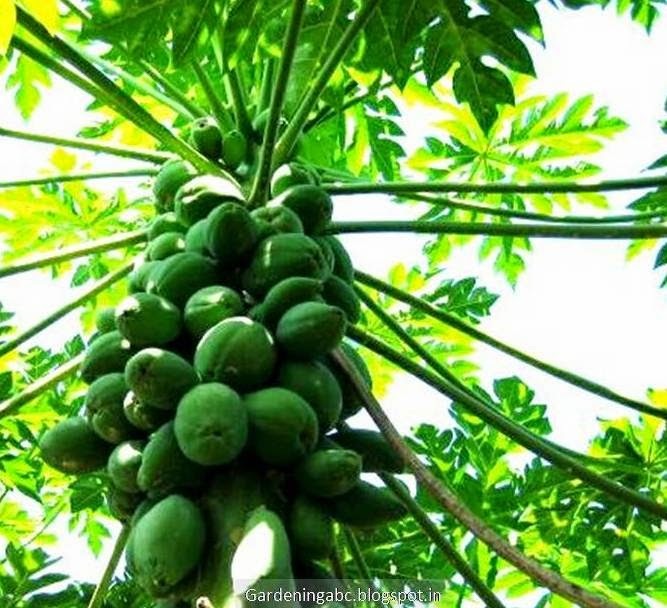 The best part of growing papaya is that unlike most of the plants, you will get the fruits all year long. The only problem is with time they become taller (it will become difficult to pluck the fruits) and much more prone to diseases. Also, older plants tend to flower much less than the younger ones. Papayas are very nutritious fruit. They are rich in vitamin C. You can have them ripe or raw.